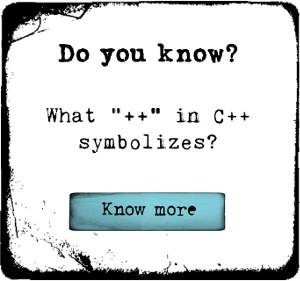 The C programming language is one of the most popular and widely used programming languages and is commonly used to programme operating systems such as Unix. The C programming language is one of the most popular and widely used programming languages and is commonly used to programme operating systems such as Unix. It is a general-purpose programming language and one of the main advantages of programming in C is that it allows the programmer to write directly to memory. This means that key constructs within C-generated software programs can be used within the memory in an efficient and machine-independent fashion. This free online C programming Diploma course introduces you to the important concepts when programming in C. You will learn how the C programming language works with data, what progam flow is, and how to use functions, methods and routines. You will be introduced to conditional flow statements, the mechanisms for controlling flow statements, and how to implement simple statements in C. Logical operators such as OR, GOTO and the While loop are also discussed in detail. The course covers topics such as using pointers for direct memory access and manipulation in C, changing the memory address contained within a pointer and introduces constants and string literals. You will learn why pointers contain memory addresses of multi-byte variables, and how to visualise RAM in a new way. You will also get step by step instructions on how to create simple C programs and how to run them. This free online C programming Diploma course will be of great interest to all IT, software and computer professionals who would like a greater knowledge and understanding of the C programming language and its key concepts and features, and to learners who would like to learn more about this widely used programming language.